Coda is something of a gem. This CBD basement bar and restaurant (formerly Mini) has been attractively re-designed, albeit in an artfully distressed kind of way with raw walls, bare bulbs incased in paper shades and battered leather banquettes. Coda is something of a gem. This CBD basement bar and restaurant (formerly Mini) has been attractively re-designed, albeit in an artfully distressed kind of way with raw walls, bare bulbs incased in paper shades and battered leather banquettes. The bar area is subtly divided from the main space by a mesh screen and there’s a short but well thought out cocktail list. An open kitchen turns out inventive fusion dishes, with Asian flavours predominating though Adam D’Sylva’s balanced menu also included the odd French classic. 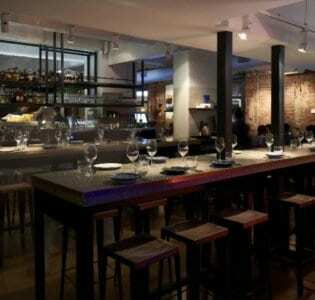 There’s a wide-ranging wine list and the whole place has an appealing urban buzz about it.